PRESS RELEASES, CONCERTS, and EVENTS. News flash new single available today "Radio Revival"
I want to wish you a very MERRY CHRISTMAS. I want to say I appreciate that you are coming to my site. Please let me know what you think of the music and the site. I can use all the help I can get. What would you like to see here? Lollio is a 5 time UKCMA Radio Mike Award Winner including Artist of the Year 2008. His music has been heard around the world. Grammys Second Round ENTRY by LOU LOLLIO "CHANGE A COMIN'" FOR YOUR CONSIDERATION. American Roots Performance. 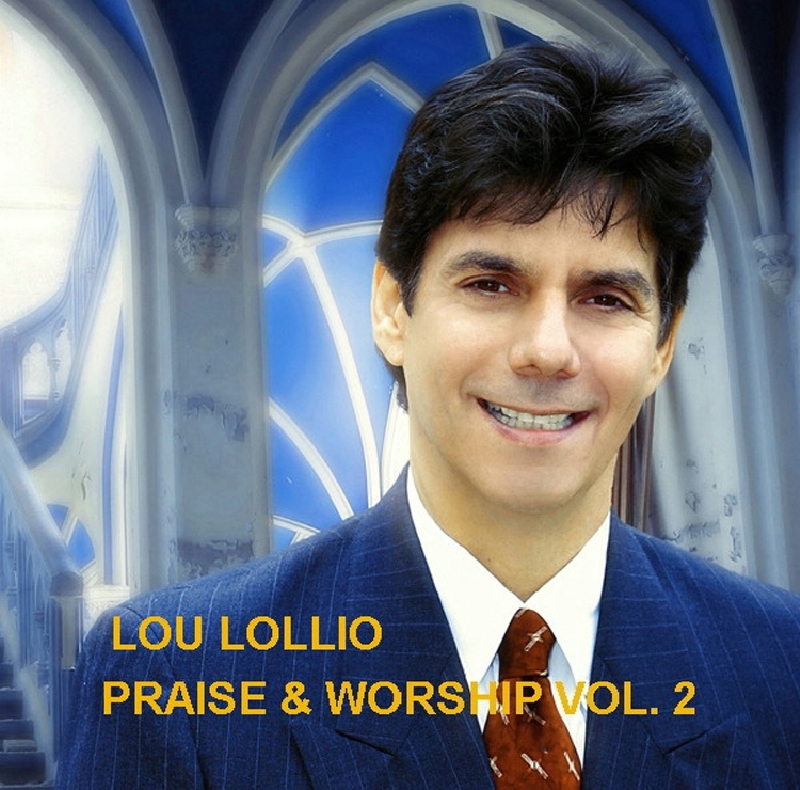 Lou Lollio Praise and Worship Volume 3 for $9.99 is the latest of the Praise and Worship Series of Lou Lollio. Over half of the songs are original and the others are really special. Please let me know and others know about this special CD. Lou Lollio played the San Diego County Fair. He performed 90 minutes of continuous music from his 2 CDs available on LL Records, Lou Lollio Praise and Worship and Lou Lollio Praise and Worship Vol 2. This was a very special night. LL Records announces that artist Lou Lollio has charted again. This time on Reverbnation's Chart at number 12 "He is King" written and performed by Lou Lollio. LL Records recording Artist Lou Lollio has (2) entries this year in the 55th Grammy Awards. "Holy Holy Song" will be on the first ballot in "Best Song Category" and Best Contemporary Christian Song Category". It is available on Itunes Internationally. Lou Lollio is a 5 time UKCMA Radio Mike Award winner, including Artist of the Year 2008. LL Records just received word that "The Reason" by Lou Lollio, the new single released in Europe has just entered the Euro Chart at #16 2012. This was reported by CMR Nashville Radio. The radio release also included "Lead Me Father" by Johny Cash and "IOU" by Jimmy Dean. Good news! LL Records recording artist Lou Lollio has entered 4 categories in the 54th Grammy Awards to be held Feb 2012. These include Record of the Year, Song of the Year, New Artist of the Year and CCM Song of the Year. Listen for the song "Merry Christmas is a Happy Time." It is available on Itunes.com now. You are listening to a prieview now in the background. LL Records recording artist Lou Lollio was awarded his 5th UKCMA Radio Mike Award in 2011. His wins have included Artist of the Year 2008. The award was announced at this years UKCMA Radio Mike Awards Program with over 50 Artists performing over the weekend Feb 11, 12, 13 and 14th London England. "I am once again deeply moved that with so many talented and blessed musicians and artists that I was even nominated and then to win is such an honor", said Lollio from his home in Los Angeles. Lollio wanted to thank UKCMA members, radio, disc jockeys, and My Savior Jesus. Thanks also to so many people who have sent notes and comments about the music from all over the world. I am reminded constantly Christian the lead character from the book 'Pilgrim's Progress' by John Bunyan, which I can relate to his journey" said Lollio. Wonder what Lou has been up to lately? Click here! Song of the Year entry 2011. LL Records releases the single "Compass" Internationally on NCMUK London. The song entered the charts this week at #16 on the Eurochart. Lou Lollio is a member of the UKCMA and the Recording Academy who put on the Grammys. "This is a special song for me and to be able to share with everyone is a real blessing", said Lollio from his home in Los Angeles. Press Release Los Angeles CA USA Christmas 2010 May the joy of the Lord Jesus fill you and bless you. Lou Lollio Praise & Worship Vol. 2 now below for $9.99 including shipping. For a very short time. See the White VISA pay now box below to purchase now with paypal. Lou Lollio Praise & Worship Vol. 2 USA $9.99 includes shipping. LOU LOLLIO PRAISE & WORSHIP VOL. 2 CD NOW AVAILABLE FOR IMMEDIATE SHIPPING HERE $9.99 INCLUDES SHIPPING INSIDE USA. ALLOW 7 DAYS FOR DELIVERY. CLICK ON THE WHITE PAY NOW AND YOU WILL BE TAKEN TO THE PAGE TO PURCHASE. VISA MASTERCARD OK.
LL Records announces the release of "Merry Christmas is a Happy Time" written and performed by Lou Lollio, just in time for Christmas. Most radio stations will have this single if you request it. It is on NCM UKCMA CD #79. This is the song you are hearing now for a very short time FREE. Enjoy it and drop us a note. LL Records announces the release of "IN MY ARMS" by Lou Lollio, a single released to radio from Europe on NCM UK CD Somebody Please Help. The single entered the EUROCHART at #17. "This is a rocker with a great message" said Lollio from his Los Angeles home. LL Records recording artist Lou Lollio's new release "Name Above All Names" written by Vineyard UK Worship leader Wes Davis, released Feb. 1, 2010 entered the NCM Country Chart and #2 in it's first week. "What a pleasant surprise" said Lollio from his home in Los Angeles, CA. It also crossed over onto the NCM Euro Chart entering in the #11 Spot. His previous release "Wounded Soldier" written by Danny Daniels remains in the NCM Country Chart at #20. "This has been a special week for our team. We are blessed and grateful." Said Lollio. YOU ARE LISTENING TO THE LATEST SINGLE RELEASE BY LL RECORDS RECORDING ARTIST LOU LOLLIO. THE SONG IS TITLED "I Need to Dream". Request it from your radio station. Thanks for stopping by. Click on ITUNES button below to purchase the single 99 cents. Lou Lollio Praise & Worship Vol. 2 for $20 Shipped Internationally includes shipping. Click blue buy now button. OUTSIDE USA $20 INCLUDES SHIPPING AND CLICK ON THE BLUE BUY NOW BUTTON FOR INTERNATIONAL SHIPPING. Click on this line and LISTEN FREE to single "RADIO REVIVAL"and others songs. LL Records just announced recording artist Lou Lollio 2009 UKCMA Award winner, has released a new single to radio. It was released in the UK and worldwide on NCM Records UK. The song "I Need to Dream" was released on a compilation with some of the finest artists in music. Including, Randy Travis, Vince Gill, Dionne Warwick, Mary Mary, George Hamilton IV, Wes Davis and several other top performers. Be sure to request the song on your local radio shows. Comments Great Album ! All great songs to play on our radiostation. Thanks ! "I Need to Dream" Lou Lollio Very good. "Merry Christmas from England" the single finished the year at #7 on the Christmas Charts of NCMUK and throughout the world. LL Records released 8/18/08 Lou Lollio's new single "Be Enthroned" penned by Wes Davis from England. You can hear a sample at Itunes.com. The recording is currently #4 on the NCM Country Chart in Europe. "With the success in Europe we decided that it would be wise to release it in the USA as a single." said Lou Lollio in Los Angeles. Lou Lollio Music ASCAP Publishing also signed the song to a North American publishing deal. Wes Davis the songwriter, who is a Vineyard Worship leader in the UK, and New Music Enterprises, Paul Davis reached across the Atlantic to bring the song to America. We need to spread the Good news. The opportunity for songs to be exchanged, recorded, published and produced, between songwriters in UK, Europe, America, Canada, Australia, New Zealand, Asia and the World is very exciting and something we would love to see more of" said Lollio. With the release of this single, it has begun. PRESS RELEASE Mid Summer 2008: Los Angeles California USA. LL Records recording artist Lou Lollio has reached the Number 4 position on the NCM Country Charts in Europe. We want to acknowledge Paul Davis and Andy Humphries, for their hard work and 300 + radio stations, syndicated show and network worldwide on Good News Broadcasting. We also want to congratulate Wes Davis Songwriter and New Music Enterprises, for signing a North American publishing rights agreement to the song he penned entitled "Be Enthroned" recently recorded by Lou Lollio. Stay tuned. More to come from this successful group of talented people. LL Records recording artist Lou Lollio is excited to share with you the release of New Christian Music UK CD #55. This is a compilation CD of several top artists. Randy Travis, Third Day, Delirious, Jars of Clay, Lou Lollio and many other fine artists. As of July 4th, 2008 the Lou Lollio recording of "Be Enthroned" has entered the NCM Eurochart at #19. "Be Enthroned is written by Wes Davis. Marc Smitham(Smithers) played electric guitar. Lou is so grateful for the continued favor in Europe and internationally with the New Christian Music UK releases. LL Records recording artists Lou Lollio returns from England with Rock Male Artist award from The Radio Mike Awards in the UK, Mar 1 and 2, 2008. “I am humbled and honored to receive this award. Thank you Jesus. I want to thank my lovely wife Jeanne, Paul Davis, New Christian Music UK, UKCMA, George Hamilton IV, Kenn Gulliksen and my Pastor Brad Bailey.” Said Lou Lollio after receiving the award. Over 50 artists performed in the 2 day event. Lou also ministered in music at Elim Pentecostal Church in South End on Sea, Essex. He was blessed by the warm welcome from Liz, Lee, Pastor Bill, Molly, Tony and so many others. He will be joining the Vineyard Worship Team on Easter Sunday for all 3 services at Westside Vineyard 3838 Centinella Ave. Los Angeles Ca. 90066. More information may be found at http://www.LOLLIO.com He wanted to thank everyone who prayed for him while away. 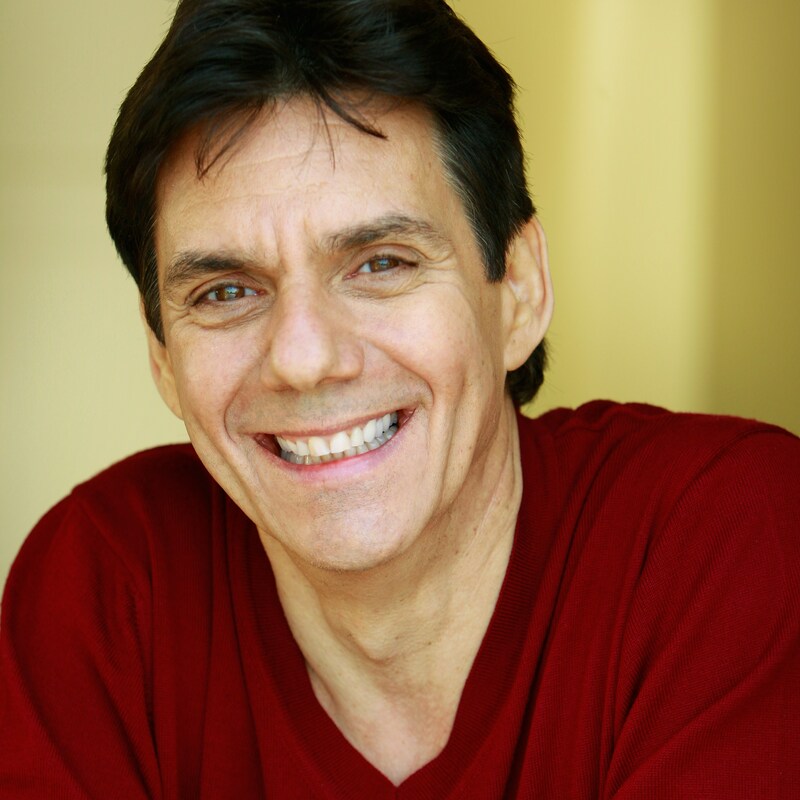 LL Records recording artist Lou Lollio to receive "Artist of the Year" award from New Christian Music UK and UKCMA. He will be in England to receive the award in March 2008 and performing on the awards program. "Thank you Jesus! I am very blessed to be part of this event and to have my music played worldwide thanks to New Christian Music UK, Paul Davis, the DJ's, journalists and media throughout the world. George Hamilton IV from the Grand Ole Opry in Nashville has been a big influence on my music and tours. Thanks to Lamon Records Dave Moody and so many others for helping to get my music out there and my wonderful wife Jeanne for putting up with me hopping on jet planes." said Lou while preparing for his trip to England. LL Records recording artist Lou Lollio enters NCM Eurocharts at Number 21 in the first week after release of New Christian Music UK "Still In Business" CD. Also on the same CD, Amy Grant entered at #1 and Steven Curtis Chapman entered at #4. "This is such a blessing to see this song "I Can Only Imagine", enter the charts so quickly after being released, and to be part of New Christian Music UK's incredible success," said Lou Lollio while attending the Grammys this week in Los Angeles, CA USA. More news to come. LL Records recording artist Lou Lollio's new single "I Can Only Imagine" was just included and released on New Christian Music UK's compilation CD to all of Europe and some parts of the USA, entitled "Still In Business" NCM 50 with Amy Grant, Steven Curtis Chapman, George Hamilton IV and several other talented artists. "New Christian Music UK and Paul Davis, continue to release some of the best music heard on radio today worldwide, and the media that hear these CD's are tops in the business. It is such an honor and blessing to be included on their CD's", said Lou Lollio in a recent interview. LL Records recording artist Lou Lollio appears in the new Eagles Video "Busy Being Fabulous" released this week. Lou said "It was great to meet the band and get to hang out with them for a couple of days. Everyone was very professional and the music and video are top quality work." More to come from LL Records. CLICK ABOVE TO BUY THE LOU LOLLIO PRAISE AND WORSHIP CD VOL 1 FROM INSIDE THE UNITED STATES OF AMERICA $15 US. Press Release Fall, 2007 Lou Lollio and the song "Radio Revival" remain in the New Christian Music NCM Eurochart TOP 100 for the twelth week in row. Since entering at #15 on June 6th and moving to #6 on June 10, it is now holding strong in the top 100. "Unusual song that might well appeal to DJs! Pleasant recording with an excellent Christian message. Nicely done." Said Steve Bridges Radio Cherwell, Oxford United Kingdom. The feedback continues to be very favorable with this single release to radio. "I am grateful that Paul Davis and the people at New Christian Music UK have such a commitment to artists and radio alike. Keep up the good work. Let the whole world know that Jesus is the way." Said Lou recently in a press release in Los Angeles California USA. Press Release June 15, 2007 Radio Revival performed by Lou Lollio and written by Al Watkins, climbs New Christian Music Charts and now at #6. Lou was really excited to see the comments "Great track broadcast it straight away," writes Bill Rowe representing Joyful Sounds United Kingdom Radio Poplar and City Sound. Press Release June 5, 2007 Radio Revival enters the NCM Euro Charts at #15. Dennis Payne Gospel in the Country Hot FM 106.7 Australia Rated on a scale of 1 to 10 a 10+ "Yes, Yes, One of our team thinks this should be our signature tune. I think she is right," said Payne. PRESS RELEASE 2007 Summer. Lou Lollio has been selected again to be on a new CD that was just released in Europe called "Radio Revival". It is a compilation record released by New Christian Music UK. The CD was named after the single "Radio Revival" performed by Lou Lollio. The CD also has Dolly Parton, Brenda Lee, Audio Adreneline, George Hamilton IV, Gaither Homecoming and many more artists. The song was written by Al Watkins. It was released on June 1, 2007. "Great catchy song & theme!... I hope that it does well. Best wishes", said Paul Davis Producer for New Christian Music. "GOOD-RECOMMENDED FOR AIRPLAY" said Stuart Cameron, Sky Radio UK. The single is now available here on this site and several other sites. It will also be on the Lou Lollio Praise & Worship Vol. II CD which will be released soon. Check back for details. Lou Lollio will now be booking for the 2007 Worship Concert Series worldwide. Lou said, "The end of the year is upon us and I wish you and your families all the very best during this special time. My goal is to reach people with the healing power and saving grace of our Lord Jesus. I have exciting news to share. I am now endorsed by Christian Music Presenters. You can see the endorsement information at Christianmusicpresenters.com for more information. I will share with you that they are spreading the Gospel message worldwide and I am honored to be selected for endorsement. They have a high level of commitment to excellence and ministry calling as a requirement for endorsement. They were instrumental in The Carnegie Hall and White House Concerts last year which I was honored to be invited. Your prayers and encouragement are always appreciated. Let me know if you have any prayer needs and I will pray for you." This will be a step of faith on all of our parts. It will be very exciting to see your God given talent used in a powerful way. Mission Statement: To proclaim in song and testimony the good news of salvation through faith in Jesus Christ. LOU LOLLIO WAS ON THE COVER OF GLORY TRAIN EXPRESS MAGAZINE. This site is specific to music for film, television and record projects. The songs are available for music supervisors for Television, Film and bands looking for material to record on their projects. The songs are not to be used without permission and are applicable to the current copyright laws. Contact Lou Lollio Music ASCAP(310)293-9860. The mp3 files are versions of digitally mastered recording that are available immediately in whatever format needed. We can record new music tailored to your needs. We are a fully functioning multi-track recording studio with professional musicians and singers on staff. We have recorded songs for Television and Movies. We work quickly and efficiently. We can handle any project. Try us now. LOU LOLLIO born West Virginia, USA. 5 Time UKCMA Award winner including Artist of the Year 2008. Vocals; Musician (guitar, piano, mandolin and harmonicas) Songwriter, Producer, Publisher and Manager; Married Jean L. Lollio. Career: Acord Family Singers, West Virginia, Mystery Train, Nashville, TN, Buffalo Springfield Revisited (Revival band with two original musicians), Venice Vineyard Worship Band, LA Metrowest Vineyard Worship Band, Gospel Lighthouse Worship Leader, Pacific Christian Center Worship Leader, The Sound West Coast, Lead Singer and West Coast Regional Manager Dove Music. Lou Lollio Praise & Worship LL Records/Lamon Records. Doxa with Johnny Cash, Joanna Cash Yates, Lou Lollio Glory Train Records. Come and Go With Me Gaither Homecoming, Randy Travis, Tim McGraw, Russ Taff, and Lou Lollio New Christian Music UK. Tour Management experience: During the Buffalo Springfield tour, singer, guitar piano and handled the responsibilities of tour manager. Later managed the tour for Randy Meisner(Eagles)Rick Roberts(Flying Burrito Brothers)and Dewey Martin(Buffalo Springfield). The Sound West Coast Area Lead singer and Manager. Booked hotels, paid the musicians, worked with booking agents and arranged television and radio appearances. Actor: Most recently seen on "Cold Case," E! Entertainment's "Facing Fame". Also appeared on Lifetime Channel "The Division" and many others television shows. click here to play"I Need to Dream"
Lou Lollio will expand his WORSHIP CELEBRATION CONCERT SERIES 2007 Worldwide this year. Lou will be joined by many talented musicians and singers. 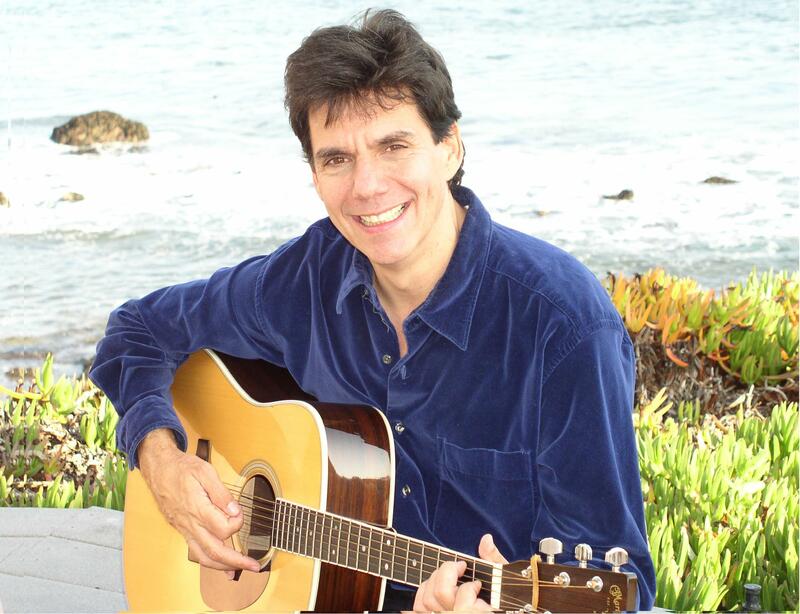 Featured worship leaders will be Lou Lollio. Expect something special to happen. Lou Lollio is the former Lead Singer of the group "THE SOUND". He currently has a song "I Claim Victory" from The LOU LOLLIO PRAISE AND WORSHIP CD on the international charts. His current single is on the DOXA compilation CD with JOHNNY CASH and Joanna Cash Yates on Glory Train Records. Most recently charting at #17 on the International Country Christian Charts. has His most recent single release was a compilation CD called Come and Go With Me, with Gaither Homecoming, Russ Taff, Randy Travis, Tim McGraw and Lou Lollio on New Christian Music UK Records with Paul Davis Producing. He also appeared as an actor recently on E! Entertainment's "Facing Fame" TV program, and Lifetime Channel's "The Division. We are expecting to have anywhere from up to 50 worship celebration events at different churches and outdoor festivals. All are welcome to join in the Celebration. Call for Concert, Sunday morning or special event Booking 310 293-9860. Click to play "I Claim Victory"